Click on name to go to section or scroll down. Toro is a very rewarding and enjoyable place to work and it has supported me through so many of life’s changes, from completing a university education to raising a family. Over the years I have been offered different opportunities. 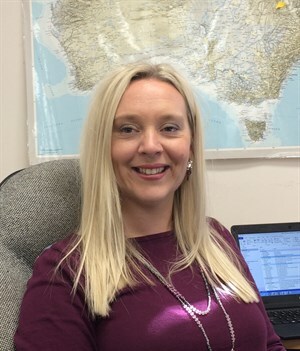 I started in 1998 as a Purchasing Assistant, then became a Costing Clerk in our Finance department, moved into the Analytical area as a Business Analyst, then Senior Business Analyst and now Manager of Financial Planning and Analysis. The diversity of the Toro business areas has enabled me to experience many different aspects of management accounting including the challenges of manufacturing, sourcing and distribution. I really enjoy the role I play within Toro, the accounting requirements may be consistent, but the business is always changing, developing and innovating and I enjoy playing my part in this. Toro really values the contribution and opinions of its staff and I feel part of a strong, supportive team that wants us all to succeed together. I started out as a casual merchandiser servicing the professional irrigation dealer market in WA in 2000, selling Toro product direct to retailers from a van carrying fast moving stock lines. 3 years later I was employed as a full time account manager, a very rewarding role, interacting with customers and co-workers. Since 2012 I work as a Territory Manager, selling our irrigation products, developing sales and marketing plans and providing ongoing dealer training and technical support. I’ve always felt supported by my manager to keep on learning and developing new skills, and to challenge myself to achieve personal and organisational goals. I am fortunate that I work with great people, and have enjoyed building and fostering strong relationships with our dealer base. In addition to the exciting personal development opportunities within Toro, I feel proud to be an ambassador for a well respected and long standing international company. In 1997 I started at Toro as a Process Coiler PVC, coiling and packaging the different PVC garden hoses that were produced in the then Murray Bridge factory. 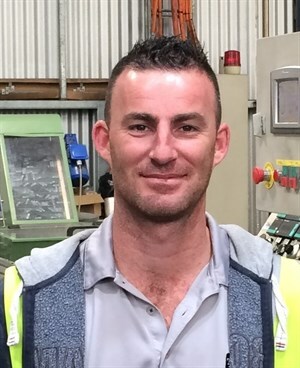 Through the years I took on different roles ranging from Material Hand and PVC technician in Murray Bridge, to working on Toro’s various drip tube lines that are manufactured at the Beverley (Adelaide) Head Office. I gradually moved up through the ranks from Maintenance Technician to Production Supervisor and am now Production Manager. Toro feels like a family to me, a lot of the faces here I have pretty much grown up with. Toro has a great culture, fostering both professional and personal relationships and in my career I have been offered the opportunity to travel overseas to places I would otherwise never have visited. 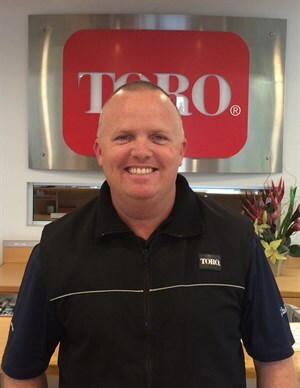 I started working for Toro in South Australia in 2010, as a Product Manager for the Pope Brand. I always enjoyed working with retail products especially when you get to work on such an iconic market leading Australian brand! As someone who cannot confess to having a ‘green thumb’ I learnt a lot about garden watering in my two years in the role, but unfortunately I still can’t keep a plant alive. I then moved to Melbourne to take on the role of Senior Marketing Manager for the Equipment side of our business, which has kept me on my toes ever since…. I still get to keep my hand in retail and work on large advertising campaigns with our Consumer and Professional Mowers but also love working alongside our golf team and with our Dealer network. 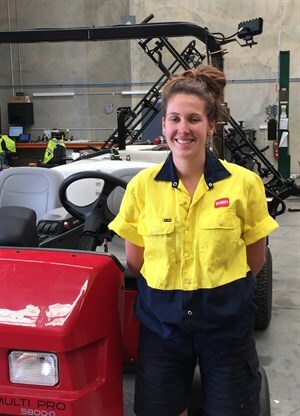 Toro has offered me a very varied work life, now based in Sydney I have moved to 3 different states and travelled to 9 different countries since starting with the business! I genuinely enjoy working with the people at Toro both in Australia, Asia and the US. I also truly believe in our product and am proud to tell people ‘I work for Toro’ when asked the question. 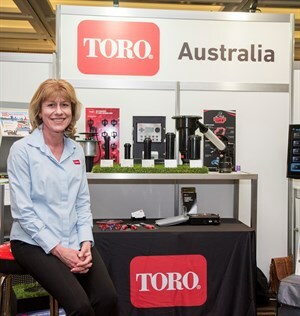 I joined Toro as Area Sales Manager- Golf Equipment in QLD and Northern NSW in 2011. Our golf equipment business deals direct with the end user and is very much relationship based. 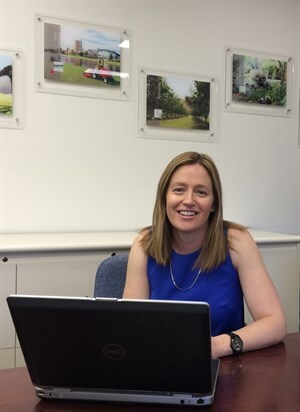 I’d been working in the turf industry for approximately 20 years and already had many existing connections which made the transition to Area Sales Manager a little smoother. My current role is Senior Sales Manager – Sports Fields, Grounds & Construction. A very different role in that our product is distributed through a National Dealer Network managed by myself and a team of Area Sales Managers. Working at Toro has been positive in so many ways. Firstly, the opportunity to work for the company that I had been dealing with as a customer was exciting and made perfect sense as Toro is the leader in the turf industry. The people I had developed relationships with as a customer, the support they provided and the products that I had used were the reasons why I would not have sought a career change with any other manufacturer. It has also been life changing in a sense of getting weekends back, something I didn’t have as a Superintendent, and I love that I can now be more involved with my children on a day to day basis. I have been with Toro since March 2014, originally as an apprentice in the Service Centre, but now as a qualified technician. My role is very varied and includes pre-delivering machines, diagnosing, repairing and servicing as well as visiting customers. I love that I am able to develop a close relationship with so many customers. The team I work with is great and we work on many different types of machines. I can work on push mowers, big ride-on mowers for golf courses, trenchers, compact utility loaders, utility vehicles and more, every day is different. This gives me a very broad knowledge and Toro are very supportive so that I can continue gaining knowledge.